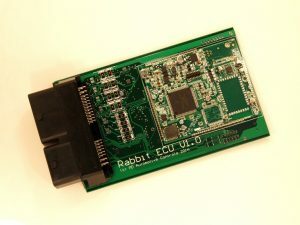 Rabbit DIY ECU has open-source application code, free tuning application, CAN bus or USB connection and the ability to run a modern PFI 4, 6 or 8 cylinder engine. The Rabbit DIY ECU can also accept the Seeed Arch Max STM32 or my own ECUHost MK60 controller board. Rabbit DIY ECU can run just about any engine with batch-fire port fuel injection and direct fire ignition (4-cylinder) or wasted spark direct fire (6, 8-cylinder). 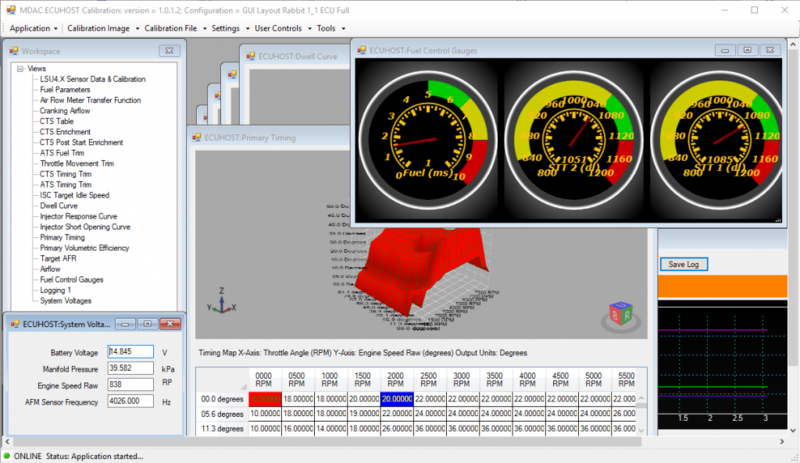 Rabbit ECU comes with the powerful freeware ECUHost calibration tool that can be configured any way you like. With 100 Mbps Ethernet connectivity, you get super-fast access to real-time data, great data-logging options and the ability to tune your DIY project on-the-fly! The free tool uses ASAM a standard A2L file to ‘know’ how to communicate with the ECU over USB, CAN or Ethernet. It is easy to modify the GUI layout by editing the Excel XML file. You can upload and download calibration files to the ECU as well as open and save calibration files to disk for editing offline. Tuning is fully on-the-fly and you can add gauges and choose data-logging parameters. To download check out the support documents page link below. You can buy a Rabbit DIY ECU here at Tindie for USD99.